Call us today! We are your Professional Commercial Locksmith in the San Antonio, TX Area. Having the right commercial locksmith team at your beck and call is kind of like having the correct insurance for your car – it seems like a frivolous expense until the moment that you needed. At that moment, if you do not have it, is a much bigger hassle than the 5 min. of setup would have taken, and you find yourself in a much worse situation than you probably should. 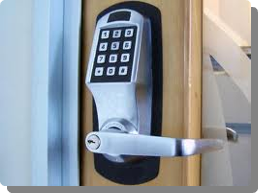 However, when picking commercial locksmith services, especially in a high traffic area like San Antonio, you want to make sure that you have the right business – a professional locksmith that knows his way around high security locks, has a 24/7 office, and is an absolute expert in business security of all types. If you have a San Antonio business, and you have need of an emergency locksmith for the high security locks at your office or for your personal space, such as your house or your car, you need look no further. We are your total locksmith and business security answer! Our offices operate on a 24/7 basis with personal and business security emergency locksmith services being our highest priority. It does not matter whether you have trouble with your locks on your house or your car – we can get you in. We are there in a flash, and we do not overcharge just because you are in a precarious situation. Our team of professional locksmith technicians is one that you can trust fully to be reputable and absolutely upfront about all of our services. On top of the services that you would think that a locksmith can provide, our commercial locksmith services also can help you with beefing up your personal and office security to the latest standards so that you do not have to worry so much about protecting your assets. These two things may seem unrelated, but essentially they are the same: If you do not take the precautions to protect your businesses and personal assets, the fallout of willfully refusing to take such an action is much worse than the setup costs that you would incur. We have the solutions you need for your company’s security and safety. Call us today!